"Netanyahu proved once again he is a virtuoso without peers…He plays on the heartstrings of his constituents like Itzhak Perlman on his Stradivarius and leads them to vote Likud like the Pied Piper of Hamelin. Many of his voters know that his years in power have been too many and that the cloud of suspicions enveloping him has grown too thick, but Netanyahu transcends the barriers of their minds and injects his message directly into their veins. Gevalt, he cries, the town is burning and the barbarians are at the gate. He knows that the very thought of the smug smiles and smirking Schadenfreude of the despised media and their leftist backers will suffice to drive his supporters in droves to the polling booths, because loyalty to the tribe comes first." "Now it's official – the Likud tried to lower the Arab turnout through illegal means. Hidden cameras, monitoring and voter suppression. This is what de-legitimization of a fifth of the citizenry looks like. What started out as unleashed racist incitement continued in the nation-state law and could end with a transfer government and revoking rights." Almost complete count from Tuesday election shows Likud at 36 seats, Kahol-Lavan 35. New Right (Hayamin Hadash) unlikely to cross electoral threshold. Netanyahu was expected to make demands from his potential coalition members so that he could continue to serve as Prime Minister, despite the criminal charges he is expected to face pending a hearing that will take place with the Attorney General in July. One report said that he would demand that coalition partners agree to pass a law giving him immunity from criminal charges or that they agree to stay in a coalition with him even as he is indicted. (Maariv) Haaretz+ reported that Netanyahu's lawyers are refusing to pick up the prosecution's massive evidence files until he pays them. However, Maariv wrote that Netanyahu's lawyers asked for a delay because the of the size of the evidence files. Haaretz+ prepared an "Everything You Need to Know About the Prime Minister's Corruption Scandals" article. **The other big story was that the PR firm behind Likud’s hidden cameras admitted its stunt was designed to lower Arab voters’ participation - and it boasted about it. The storm broke out on Election Day when it was discovered that the Likud party sent over 1,350 people wearing cameras to polling stations - but only to Arab ones. 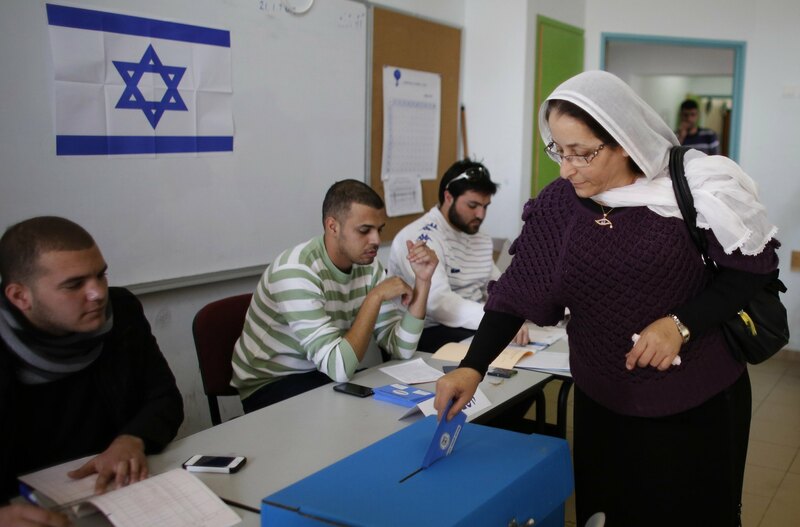 The ‘observers’ sparked confrontations, riots and fear - causing Arab voters to stay away from the polls and leading to the lowest Arab voter turnout in Israel’s history. In 2015, the head of the PR firm, Sagi Kaizler, was documented saying: "Arabs are sitting alone in the polling station, we don't trust them. We let them vote in our country even though it's our country, they should at least vote truthfully." On Election Day in 2015, in his role as settler residents' council chief, Kaizer was behind a film showing left-wing activists as traitors who would end up hanged, using anti-Semitic stereotypes. Yesterday, the firm boasted on its Facebook page: “We managed to lower the (Arab) voter turnout to under 50%, the lowest in recent years!” A Meretz lawmaker urged Israel's Attorney General to probe whether Likud's attempts at voter suppression within the Arab community amount to violation of election law. Meanwhile, US President Donald Trump said that Netanyahu’s win was a "good sign for peace," and added said, "I’d like to congratulate him on a well-thought-out race," Trump said. Speaking of peace, Trump’s Mideast peace plan will be unveiled only after Netanyahu forms his coalition, according to a Reuters source. Also, of interest, US Secretary of State Mike Pompeo refused to back the two-state solution in a testimony to the Senate. “Ultimately the Israelis and Palestinians will decide how to resolve this,” he said. Netanyahu, More Emboldened Than Ever, Will Do Anything to Stop Indictment (Yossi Verter, Haaretz+) The raison d’etre of Netanyahu’s political existence is to save himself from his pending indictments. Netanyahu's victory will not change the criminal track that threatens him (Ben Caspit, Maariv) The referendum on the prime minister came out with a draw, which is all victory: Israel is right-wing and this right-wing was not convinced that the time has come to replace him. Netanyahu's Next Coalition: Annexation for Immunity From Indictment (Aluf Benn, Haaretz+) The new Netanyahu government will have two main goals: Get rid of the indictments looming in his future, and annex the settlements to Israel, in coordination with the Trump administration. Netanyahu's short-lived victory (Sima Kadmon, Yedioth/Ynet) The prime minister might have secured a fifth term, but it appears he will not be able to put together a coalition sufficiently obsequious to pass legislation to shield him from his legal woes. Labor's Collapse Proves Liberal Zionism Is Facing an Existential Crisis (Anshel Pfeffer, Haaretz+) Israel's founding party made its poorest showing yet, while Meretz also lost one seat. The ideology that established Israel now has a very small following. Labor is relying on its past (Yossi Beilin, Israel Hayom) When all it has left is a desire to join a government and nostalgia for Ben-Gurion, Labor can't contend with all the whimsical, middle-of-the-road parties that pathetically declare there's "no left and no right," and present hollow, one-size-fits-all plans. Netanyahu Celebrates His Bibistan as the Left Wakes Up to the Dawn of an Old and Darker Day (Chemi Shalev, Haaretz+) Netanyahu played on the heartstrings of his constituents like Itzhak Perlman on his Stradivarius and led them to vote Likud like the Pied Piper of Hamelin. The elections are proof that the Israeli public knows how to appreciate Netanyahu's achievements (Meir Uziel, Maariv) Both Likud and Kahol-Lavan have something to be proud of. The ruling party increased its power despite daily accusations and the new rival, Kahol-Lavan, replaced Mapai (Labor party’s old name). Netanyahu’s fifth mandate: A condemnation of elitism (Boaz Bismuth, Israel Hayom) Both Right and Left have made immense contributions to this wonderful country. But the Left cannot accept that the people who keep electing Prime Minister Benjamin Netanyahu have a clearly defined worldview and values, which they refuse to give up. Hoping to Be Repaid, ultra-Orthodox Parties Embrace Netanyahu Moments After Victory (Israel Cohen, Haaretz+) By immediately supporting Netanyahu after the election, the ultra-Orthodox parties aim to lock Netanyahu in, keeping him from taking unilateral steps without first coordinating with them. Impeccable Timing and Brilliant Campaigning Give Netanyahu His Biggest Win Yet (Anshel Pfeffer, Haaretz+) However, it’s no landslide that secured Netanyahu’s spot as Israel’s longest serving prime minister. 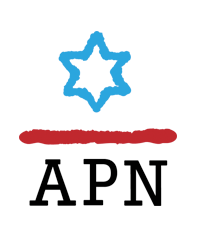 From the Arabs to the Zionist left and Gantz, a full analysis of Israel’s election results. Not only will the political issue emerge in the near future, but also the legal one (Ran Edelist, Maariv) On the day after the elections, several right-wing public figures will be required to deal with serious criminal charges. Only the right-wing leadership can form a government and also populate the prisons: President Moshe Katsav, Prime Minister Ehud Olmert, Finance Minister Abraham Hirchson, Interior Minister Aryeh Deri, Tourism Minister Stas Misezhnikov and MKs Yair Levy, Shlomo Benizri and Omri Sharon. Bassel Ghattas of Balad went to jail for smuggling cell phones to Palestinians who were tried for terror. The Palestinians in the Territories see Ghattas as a hero. Palestinian citizens of Israel think he is stupid, but in no case corrupt. So welcome to the continued plots of the right wing against the legal system. Ahead of Netanyahu's hearing, ahead of the continued investigation of his stocks and the affairs of Aryeh Deri, Haim Katz, David Bitan and Faina Kirschenbaum. So there is something to look forward to. Netanyahu the 5th Has Already Begun to Rewrite History (Bradley Burston, Haaretz+) And if there were any one thing that this election was about, beside the obvious – that is, desperately finding a way to keep the prime minister out of Maasiyahu Prison over graft allegations – it was to secure Netanyahu's legacy, to mold it in the public mind, to burnish it, and, in an astonishing number of ways, to rewrite it. In particular, the history of Israel itself. Netanyahu is betting that the lies will in time be accepted as fact, and become his legacy. Yet, if lessons are to be drawn from the life and works of Richard Nixon, to whom Netanyahu is often compared, it is all too possible that, in the end, the centerpiece of Netanyahu's fundamental legacy may be the depth and breadth of his practice of lying. Netanyahu Won the Election. Will He Now Dismantle Israel's Democracy? (Daniel Sokatch, Haaretz+) With Trump's blessing, Netanyahu is pushing Israel towards becoming a non-democratic Jewish apartheid state. It just takes one act of hubris that he trial-ballooned during the campaign: annexing the West Bank. Regime change is vital to democracy (Yossi Beilin, Israel Hayom) When the government does not change for many years, voters begin to get the sense that their vote is of no significance and that those in power are there to stay. They Say Netanyahu Is a Magician – He’s Much More Than That (Yossi Verter, Haaretz+) In no Western country, not even Italy, could a person who is allegedly a serial lawbreaker, on his way to trial and possibly to jail, be elected to the highest office in the land. Blue and White’s polite incitement (Akiva Bigman, Israel Hayom) The Blue and White party raised the banner of unity, reconciliation and statesmanship in its election campaign. But there was another side to their purported purist rhetoric, one that spoke of the enemy, in other words, the Right. A Victory for Bibi-ism (Haaretz Editorial) It wasn't the man himself who pulled off his fifth term, but his ideology. The Competition Was Fierce, but Labor Wins the Humiliation Race (Ravit Hecht, Haaretz+) The party that founded the State of Israel, and which for much of Likud's years in power was the only one with potential to replace it, has fallen to new lows. Anything goes in New York Times’ coverage of Israel (Tamar Sternthal, Israel Hayom) The paper promises its readers "the world's most trusted perspective." Yet the complete misreading of a rather blatant political ad exposes, once again, the paper's failure to deliver up factual reporting. A Palestinian Who’s Denied a Vote — and Trapped in Gaza (Amira Hass, Haaretz+) Shada Shandghali didn’t cast a ballot Tuesday, and not because her life isn’t deeply connected to Israel. Quite the contrary.